I do not recommend obtaining a MacBook the way I did (or wish it upon anyone), but I do believe in making lemonade from lemons whenever possible. Last week I got a call from one of my daughters explaining that her sister, who attends the same college as her, had spilled “something” on her computer, rendering it inoperable. Luckily my girls attend a college that’s not far from home, so the next day was spent bouncing between the Apple store and Best Buy analyzing our options. I’ll leave out the gory details here, but the end result was: I chipped in the cost of a replacement PC, the daughters split the cost of an upgrade to a new MacBook Pro, and I wound up with the old, wet, borked MacBook to use however I wanted. Here are the two culprits in the dead-Mac fiasco. Daughter on the right is the former dead-Mac owner. Daughter on the left is the Mac-killer. 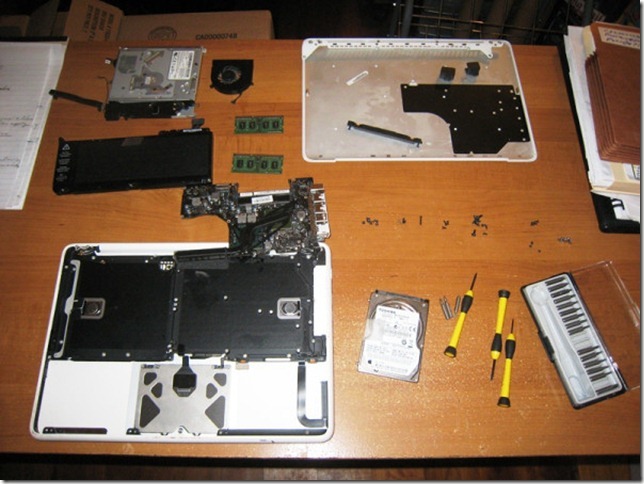 The tech at the Apple store said there was a significant amount of “liquid” inside the Mac when he opened it up. The estimate for repairs was $750, with no guarantees that it would work properly in the end. He offered us some info for an off-site computer repair person that might be able to fix it for less. But his recommendation was to sell it for parts. With this in mind, I decided to take a chance, open it up, and see what I could do with it. I had nothing to loose. Upon removing the base plate, it was obvious that the “liquid” spilled was something a bit stronger than water. My guess was some combination of beer and margarita mix, but daughter 1 insisted it was nothing stronger than wine. I read in a few places that it’s possible to actually wash the logic board in various ways (using water, alcohol, and a few other concoctions) but that seemed a bit extreme to me. Since the “liquid” involved did not contain a lot of extraneous solids and/or sugary substances, I decided a simple drying out was the best route to take. A quick search led me to the fantastic ifixit site that led me through the entire disassembly process. I found the Mac a lot easier to take apart without ruining anything than I have the few PC laptops I’ve worked on. I disassembled the entire bottom half of the Mac, wiped off the “water” droplets, hit everything with compressed air, heated it up with a hair dryer, and put everything back together again. This whole process took about 5 hours. No one was more surprised than I was when I plugged the thing in and it started right up. That felt good. Both my daughters use Macs, so I’ve had a chance to work on them a few times. I’ve never been a fan of the Mac operating system. There’s something about the user interface, with all those expanding and bouncing icons that just turns me off. That and a few other things that I won’t go into here, leave me preferring Windows over OSx. Still, I saw this as a chance to give the Mac another try. 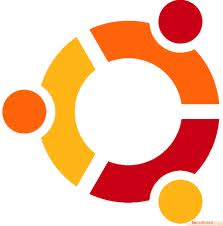 One of the best computing decisions I ever made was to turn my work PC into a Win7/Ubuntu dual boot machine. I’ve tried virtual machines in the past, but I think if you’re serious about trying out and learning a new OS, it deserves to be installed on a high quality computer, and run natively on its own partition. Since I did that, I’ve found I enjoy learning and using Ubuntu much more. So, this time around, I decided to up the ante, and go for three. 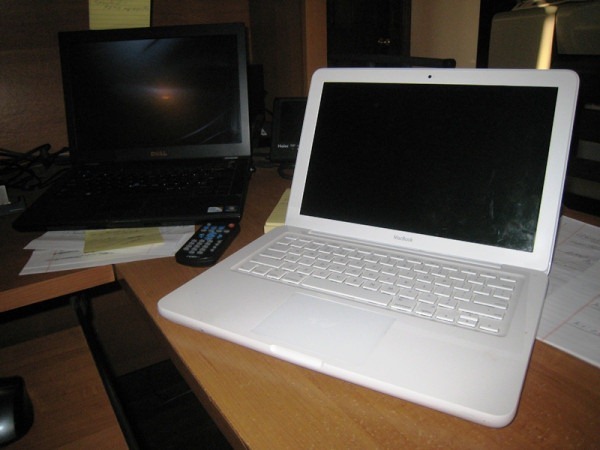 The big three: Mac OSx, Windows 7, and Ubuntu 11.04. My process follows very closely the steps outlined in the Ubuntu Community Documentation MacBookTripleBoot page. 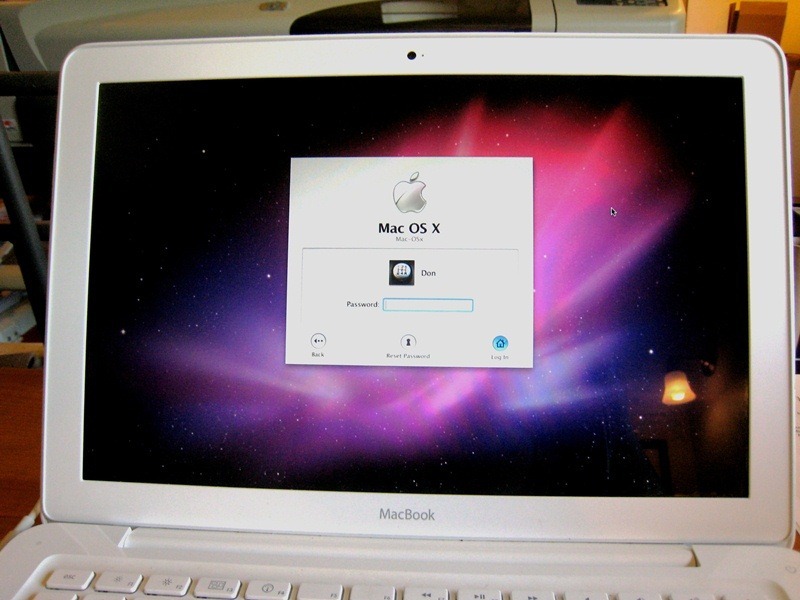 This page was created using a 2008 MacBook, so I’ve pointed out a few specific steps below where I had problems, or deviated from that process. Solution: Control-click on the Boot Camp Assistant program, choose Show Package Contents, and then navigate into Contents » Resources. Inside there you’ll find DiskImage.dmg. Just burn that disk image, and you’ll have your Windows drivers CD. However, I was unsuccessful in finding these on my system. You can also download the drivers by running the bootcamp application. 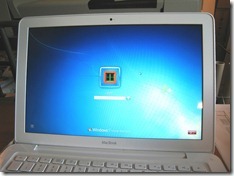 However, you must do this BEFORE partitioning your hard drive, or it won’t work. Something I learned the hard way. 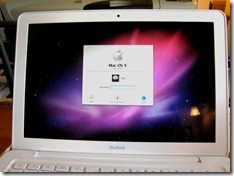 A third option I did not get to try, is simply using your original Mac OSx disk. 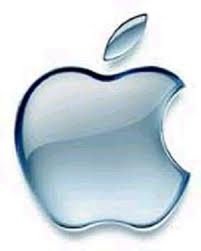 Of course the two culprits in this Mac-fiasco could not find said disks, so I was SOL there. I wound up waiting for daughter 2 to come home with her new MacBook Pro, and I downloaded the bootcamp drivers from that, using the burn directly to disk option. One last note: When you get to the point in the Bootcamp app where it asks you to partition the hard drive, cancel out. You want to use the Mac disc utility app to do that instead. The next step is to download, install, and run rEFit. This is a pretty straight forward process, but I will point out one thing. I suggest you run the rEFit partitioning tool once before actually partitioning the hard drive. This will sync up your partition tables, and fixed some errors I was getting before I did that. …in order to divide my drive up into a 100GB OSx partition, a 60GB Ubuntu partition, and a 90GB Windows partition. (The 0b for the Windows partition assigns whatever’s left to that partition). 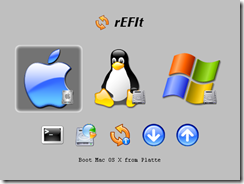 Then use rEFit to sync the new partition tables again. 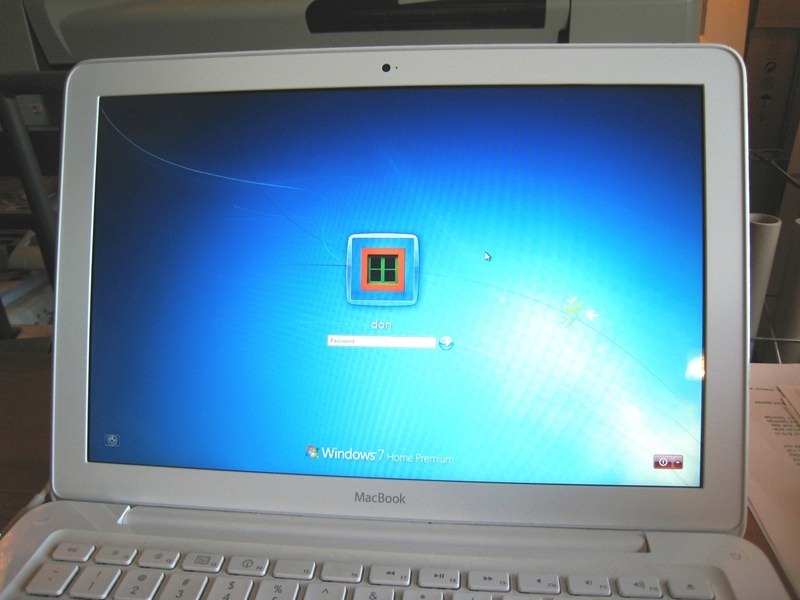 Install Windows on the last partition, as outlined in the MacBookTripleBoot page. I can confirm that using an XP disk and a Win7 upgrade disc does work just fine. No need for a single full install disk. 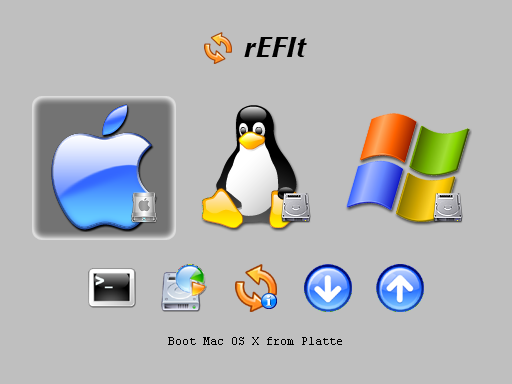 Install Ubuntu on the middle (third) partition as outlined in the MacBookTripleBoot page. The installation screens appear to be different in the 11.04 edition of Ubuntu. Just make sure you use the correct partition for the root mount point, and install the grub boot loader to that partition’s boot sector, not MBR. 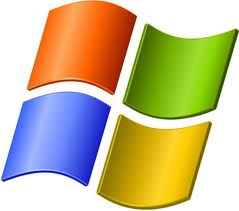 Once you have Windows installed, use the Bootcamp setup program to install the necessary Windows drivers so you can use all the Mac hardware. I had to do this in order to get my wifi, bluetooth, ethernet, and a few other things working. 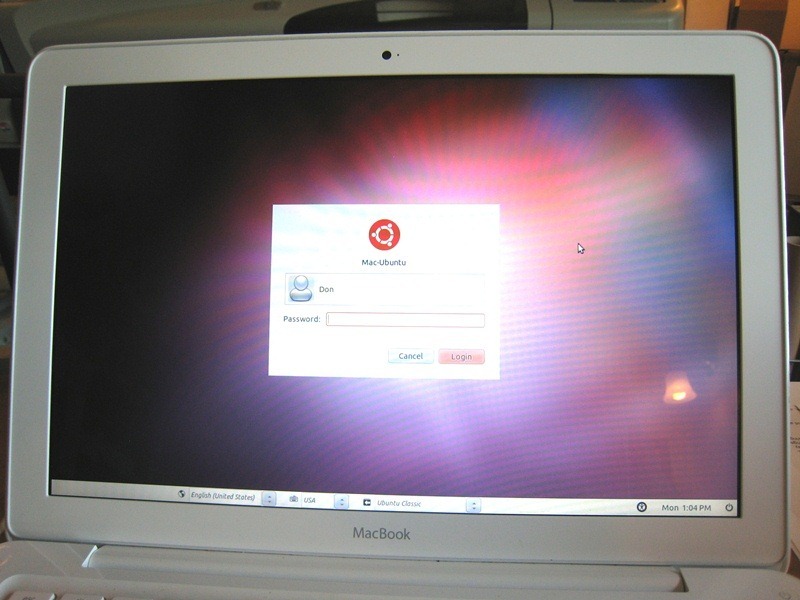 Ubuntu was able to recognize most of the Mac hardware, but I had to use an ethernet cable to hook up to my router in order to access the internet. Ubuntu then automatically identified the drivers needed for the Mac’s wireless and graphics adapters. Everything seems to be working smooth as silk. 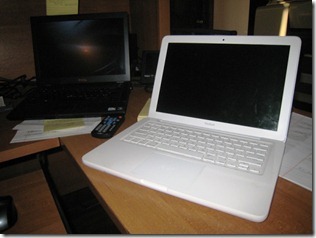 If it weren’t for the white case and MacBook logo staring me in the face, I wouldn’t know I was using a Mac. I made one change to the rEFit configuration file. I went into the refit.conf file and changed the timeout setting to 0 in order to disable automatic booting. This loads up the rEFit boot menu, letting me choose whichever OS I feel like using at that time. The only glitches I’ve noticed is during a restart Ubuntu hangs sometimes, requiring a push on the power button. And Windows seems to want to reboot back into Windows occasionally, instead of to the rEFit boot menu. That’s easily fixed by holding down the Option button during the reboot. 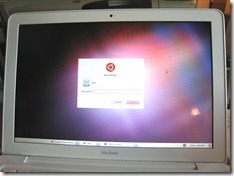 This entry was posted in Hardware, Operating System and tagged MacBook, OSx, Ubuntu, Win7 on October 2, 2011 by Don.